Last week, EA Ski & Snowboard’s very own Ash caught up with legendary ski instructor and trainer, James Winfield who will be looking after our EA interns heading to Niseko, Japan this coming winter season. James started his career as an instructor in New Zealand on a training course and has since travelled across the globe chasing winter in Japan, Canada, South America and the USA. While in New Zealand, he trained for his level one and two qualifications. When the season was finished, he headed to the USA where he passed his level three qualification. Since then, James has spent the last decade working in Japan and South America. This season, he’ll be working as an EA program manager and trainer looking after EA Ski & Snowboard interns in Niseko. Here are some key questions from the webinar that James and Ash answered which might be handy for anyone considering a career in snow sports. Question: What is the community of ski instructors like and how does that differ around the world? James: The ski community is what keeps him happy and inspired in the industry. The community is fun, vibrant, positive, and bond easily over their shared passion for skiing and snowboarding. The instructor community doesn’t change too much around the world. Question: What are your top tips for anyone heading out on their first season? James: A wise instructor once told me you can work, ski and party, but you’ve got to pick two. If you do all three, you’ll burn out. Aside from that, get some good equipment and go in with a good attitude. Be ready to learn, ready to work and ready to ski. 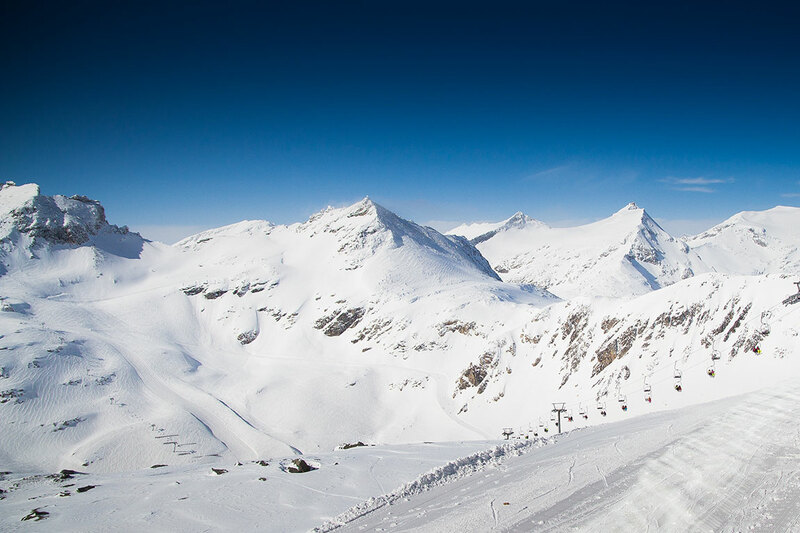 Question: What’s is your favourite ski area? James: On its day, Portillo in Chile is hard to beat. But for consistency, I’d have to say Niseko in Japan because it snows so much. This coming season will be my 11th year in Niseko, I keep going back for a reason! Ash: If you’re considering an EA Ski & Snowboard internship in Niseko and are interested in perhaps making a career out of it, we’d recommend doing both your level one and two in the one season. James will be there to help you. Question: How do you achieve work/life balance as an instructor? James: It can be a tricky one to balance for sure. During peak season, you may work up to 30 days straight, but then it’ll settle down and you’ll get a few months off. Skiing for myself and working can be tricky to find a balance but let’s just say it’s not a bad problem to have. I love my job and I love skiing. Luckily, I get to do both. Question: So, you pay for an internship and then get a job for the season after completing the program. But what happens after that? How do we continue the career? Ash: There is a cost involved with doing an internship which covers the managing and organising of all training and certification components of an internship, such as certifications, lift passes, training, program managers, accommodation while training and association fees. What we aim to do in the first few weeks of you arriving is to gear you up to become an instructor. Then, if you pass your exam there will be a job position available for you for the remainder of the season. There is an allocated paid work position for everyone on an EA internship – but you need to be professional, personable, and pass your exam. The instructor internship program is designed to help get your foot in the door in a very competitive industry. When you’re working at the resort, you’ll have the chance to network and build up your own reputation as an instructor. A major benefit of EA’s internship programs is that we give you the chance to build your network within the ski school. For example, all our program managers work for the ski school as well as EA. James: It’s important to point out that if you want to do back-to-back winters, then do your level two in your first season. That's the industry standard for someone with less experience. It’s also an industry where who you know matters. Another beautiful thing about the industry is that there‘s no distinct linear progression, you can travel the world and try different countries and different things. Based on who you meet and where you want to go. There is a reputation out there that instructing isn’t a long-term career option, but it is for sure. It takes dedication and hard work, and you might not earn as much as a partner in a law firm, but it’s a pretty epic lifestyle career. It took me a few seasons to realise I wanted to make a career out of skiing and at that point, I focused on building my own client base, getting the right qualifications and taking some risks. The more qualified you are and the more experience you have, the more your earning potential goes up. Each step opens new doors as you move up the ladder. As a ski instructor, there’s a huge sense of personal development as well as professional development. You’re pushing yourself at something you love doing. Get better and what you love, and you’ll get better at your job. Question: What made you choose to get into instructing what were you doing before? James: I became an instructor because I loved skiing and I thought it would be a cool way to go skiing for free. Before I became an instructor, I was teaching sailing in Greece and I went to university. Love of skiing – go skiing for free. Used to teach sailing in Greece and Turkey. Was at University. I didn’t really realise there was a career in ski instructing at first, but at some point, I decided “okay, I want to make a go of this” and I’ve never looked back. Question: I’m heading over to Big White for a dual internship next month. What do you believe are the best qualities to have to become a successful instructor? James: For your first season, a passion for skiing, a passion for teaching and a passion for interacting with people will get you a long way. If you’re motivated, outgoing and open then people will feed off your energy. It’s also important to be professional, turn up to work on time ready to work. Your bosses will notice and appreciate that. If you’re in it for the long haul, focus on building that guest experience so you can build your own business within instructing. Question: What happens if you get hurt? Ash: An unfortunate part of being an instructor is that if you get hurt badly, you could be off work for an extended period. There are things you can do to prevent injury during your season - avoid burning the candle at both ends and look after yourself during training by eating and sleeping enough, and don’t (eat, sleep, rest, stretch). If you’re planning on partaking in an internship with EA Ski & Snowboard, make sure you have a comprehensive insurance policy, so you're covered in the event of an injury. Question: What are the work hours like? James: It depends on where you work and what resort you’re at. In Niseko the mountain is open 12-hours a day, so a standard full day would be 6 – 7 hours. Group lessons in other resorts you might be looking at 3 – 5 hours during peak season.